Lovely & Spacious one story home in secluded area of Mesquite and within walking distance to park for recreational activities & enjoyment. Make this 3 bed, 2 bath, 2 living area 2 car garage & wood burning fireplace your home today. 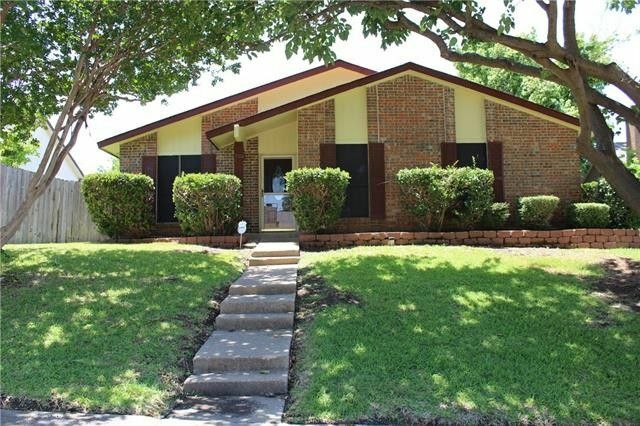 Move in ready with fresh paint, ceiling fans, HVAC service and over all, well maintained with oversize master bedroom which can be used as a study or sitting area for further relaxation. Directions: Take 635 East. Exit on Town East and go South and look for Golden Grove.